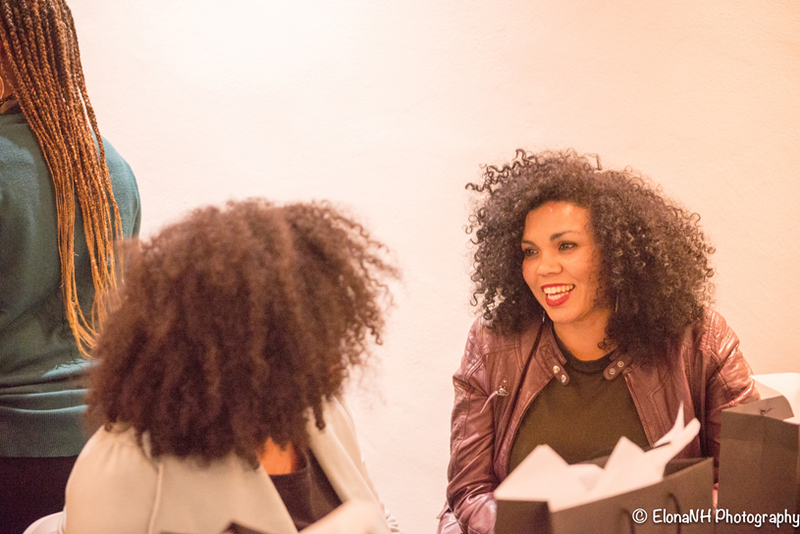 From the moment I walked into the #ClicksCurls event at Spier Wine Estate, I was wowed! Let’s just say that the curl army was out in full force. I was surrounded by natural haired beauties from all walks of life, basking in the glory of their crowns, I couldn’t get enough. I spent most of my time staring, meeting up with old and new curlfriends and taking as many selfies as I could! That was when I wasn’t visiting the stands for product samples, listening to the curl education talks and participating in some interviews with curl experts. Really a perfect day all in all. 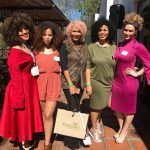 One thing I noticed at the #ClicksCurls event was that there was such diversity in curl patterns, textures and hair colour that a one size fits all curl product wasn’t going to cut it anymore. 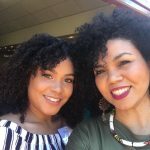 And while I personally have my holy grail products (like Twisted Sista and Aunt Jackies), I admitted to myself that natural hair brands are really making an effort to cater for all types of natural hair. Apparently, there are hundreds of different curly and coily hair types! If you haven’t already, you should visit any Clicks store to check out the aisle of natural hair products available to suit your specific hair type and texture. TIP: Cannot find what you are looking for at your nearest branch? Do some homework pre-shop and find out which branch stocks the products you are looking for. You could call Clicks Customer Care or ask your fave naturalista which Clicks branch provides her fix! Just in time for the spring/summer seasons, I thought it might be fun (and beneficial to my hair) to try out some new products. You never really know if something will work for you until you try, so try I did. The Design Essentials Coconut and Monoi Deep Moisture Milk Soufflé is a popular sample sachet – and I almost wonder if a hair event is a hair event if it does not include something from this range! Haha. I believe that your curls should feel as good as they look. And with that being said, my 3b curls live for lightweight products, as anything else causes limp hair and crunchy curls! Not this soufflé though! I promised myself that when the next Clicks 3-for-2 promotion happens, I would be rushing out to Clicks to stock up! At the #ClicksCurls event, I got my hands on shampoo and a curl enhancing mousse from the Almond and Avocado collection. The Design Essentials Global Texture Specialist made some amazing finger coils (using the mousse) which lasted for a few days on the model’s hair. I am definitely going to be trying that because so far achieving 2nd, 3rd and 4th-day hair is a struggle in my house! The Almond and Avocado range is also great for detangling without adding heaviness to your hair. Who wants a heavy head in the hot months? Not me! Before I went natural, I was a loyal supporter of the Loreal Haircare range. 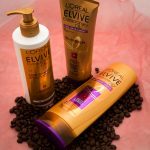 So I was super excited when Loreal launched their Loreal Elvive Curl Nourishment range for curly hair and really wanted to try it. When I saw them exhibiting at #ClicksCurls? Day made!I was so surprised when I read that their shampoo does not foam. Wait. What? Yes, it gives you the instructions on how to apply it on the bottle and cleanses your hair without creating any foam. I can’t wait to try it this weekend. I did, however, do a flexi-rod set on my mom’s hair last weekend using the Loreal Curl Nourishment Oil-in-balm and it worked like the bomb. Her hair was soft and shiny, surprisingly not oily at all and it retained the curl so well. 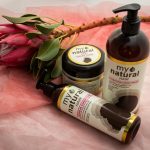 My Natural Hair is a local South African brand who just launched some new additions to their range. They now have a leave-in conditioner, a curling cream and a bigger 500ml size hydrating conditioner – because who doesn’t need more conditioner? I think they outdid themselves with their new products and #ClicksCurls tends to agree – they won an award for best stand on the day! I am currently working my way through the new Leave-In Conditioner and absolutely loving it. I tend to go through a lot of product really quickly, but I’ve found with the My Natural Leave-In and Curling Cream, you don’t have to use as much to get your desired effect. It also leaves my hair really moisturised and helps retain my wash ‘n go for a few days if I protect my hair well at night. 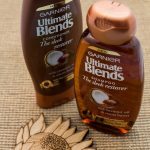 I would probably never have considered the Garnier range prior to #ClicksCurls because I always had the idea that it wasn’t meant for my hair. But I was wrong! Thanks for coming to the party and introducing me to your range, Garnier. Firstly, it smells amazing! People smell your hair first when you walk into the room! I love that! Secondly, it adds moisture to your hair, so even though it is meant to give you frizz-free hair and super sleek smoothness, it still helps with curl definition. A bonus is that it has no parabens and is available at a really affordable price. So if you are a naturalista on a budget then this is for you! 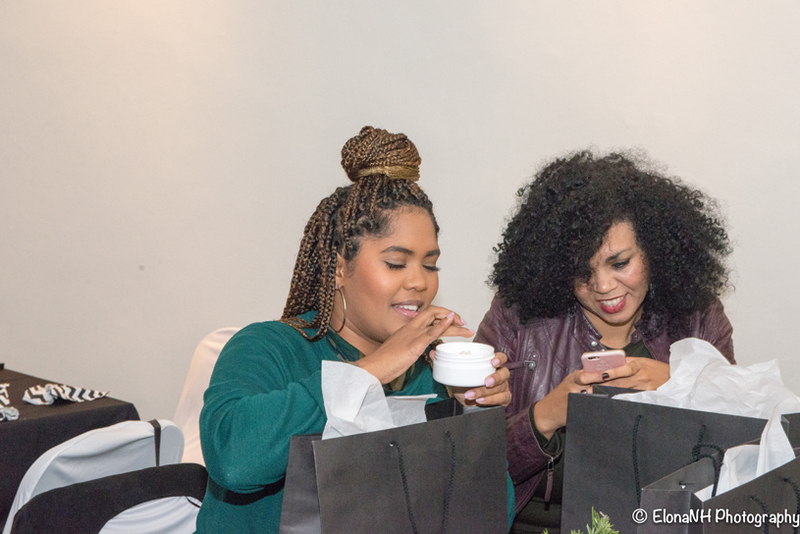 I received a sachet of the creamy aloe shampoo in my good bag at the #ClicksCurls event. I don’t have a picture of it because I used it this past weekend for my wash ‘n go. I must say I was rather impressed. 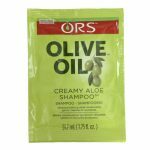 For a sulphate free shampoo, the ORS creamy aloe shampoo created a lot of suds and left my hair and scalp feeling clean and fresh. Also, the sachet lasted two washes and is really affordable, so that would be a great option if you wanted to try a new shampoo before committing to a full-size product. *All the products above are currently available on promotion at Clicks during their Beauty Fair and you can get them online and instore as well. #ClicksCurls tickets were sold out mighty fast and I know many curlies were sad not to attend! 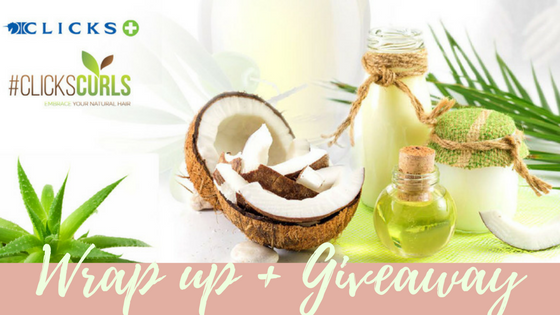 So, to cheer you up, I have a hamper of natural hair goodies from Clicks to giveaway! That’s it! You’re entered! Competition open to South African residents only. Competition closes on Monday, 2 October 2017 at 12pm. The fear of personal growth exists in our lives because we fear not being good or great at whatever it is we want to try. It is completely normal to have those fears. However, everyone has to start somewhere. And even if you try something new and you’re not great at it, that’s absolutely fine. We live and learn! I love to try new things. And when I do, I am completely invested in that skill, craft or hobby. In terms of results, l’ve seen both good and bad. The activities l’ve mastered now form part of my every day life and l couldn’t be happier. It all starts with taking that first step; even when you don’t have it all figured out. 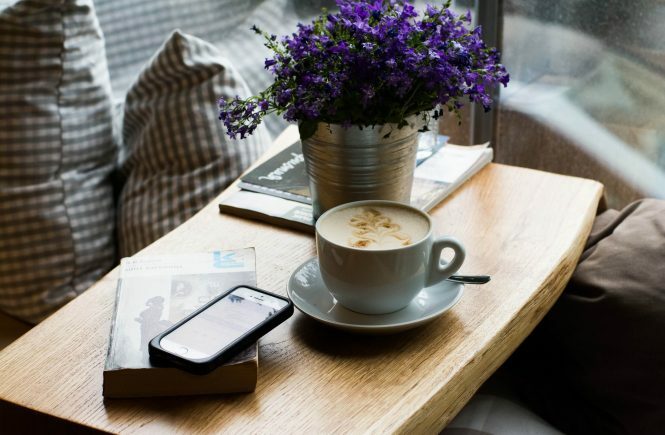 Whether you’re a student for life like me, or want to brush up on a topic so that you can contribute to a discussion with friends, or approach your boss for that long overdue salary increase, investing in yourself by enjoying some intellectual self care may be long overdue! Intellectual self-care involves being responsible for your own personal growth. It is the continuous pursuit of learning and education and engaging in new things. It is also the art of practising mindfulness and having a positive mindset about life in general. Whenever I write these posts I think about my own life and identify areas in which I have been tending to my own intellectual self-care growth. This month I signed up for an online course because I wanted to get a better understanding of a new field that I am exploring. Additionally, I love learning new languages and because I already speak a little Spanish, I always try to improve my Spanish skills with different apps on my phone. I’ve also decided that I would seriously like to know what all the hype about Game of Thrones is? However, I don’t have the time to watch seven seasons of the series right now, so I’ve challenged myself to read the first book. In fact, if anyone has the first book lying around please send it my way? How will you challenge yourself and practice intellectual self-care this month? Whether it be online or at your local college. Maybe you want to finish a course that you started years back? You should do it, its never too late. I signed up for a free online course with Shaw Academy, you should check them out. If you don’t like reading, you could listen to a podcast or watch a Ted Talk. I’ve found them to be really educational and fun. If you find that your life is generally very busy and that you are always rushing to the next thing, take a few minutes to practice mindfulness this week. And this does not need to involve a lengthy meditation session, it could just mean eating your lunch away from your desk and being present in the moment that you find yourself in. Let me know in the comments below or pop me an email if you decide to try something new, I would love to hear about it! A couple of weeks ago, I embarked on a blog series on self-care. You can start reading all about it here and here. While the intention was to write one post a week, last week did not go exactly as I had planned. Life has been rather hectic lately which left me feeling stressed, tired and overwhelmed. There is some irony in the fact that this post on emotional self-care is delayed because while I was trying to write it, I needed to do some emotional self-care myself. Now that I’m feeling a whole lot better, I feel like I can share some of the lessons that I learnt through this post. Emotional self-care is all about being aware of how we are feeling and finding ways to deal with our feelings positively, especially when it comes to managing stress in our lives. So when I felt stressed and anxious last week, I needed some time out. And for an extrovert like myself, that is a rare occasion. I ended up spending the most part of 2 days in complete silence at home by myself and it was complete bliss. I tidied and decluttered my bedroom – that may not sound like an emotional self-care activity, but an orderly space where I could think did wonders for my soul. I think some of the clutter was actually adding to the stress in my life. I deep conditioned my hair, applied a face mask and painted my nails – sometimes just those little things can do so much for your well -being. I wonder how I can never spare 20 minutes out of a week to apply a deep conditioner to my hair?! This is going to be a regular activity for me from now on! I met an old friend for lunch on day 2, shhh! By lunchtime of day 2 I had enough of my own company! A friend from out of town was in Cape Town for the week and it was so good to catch up over food and drinks, lots of laughter and memories were shared. 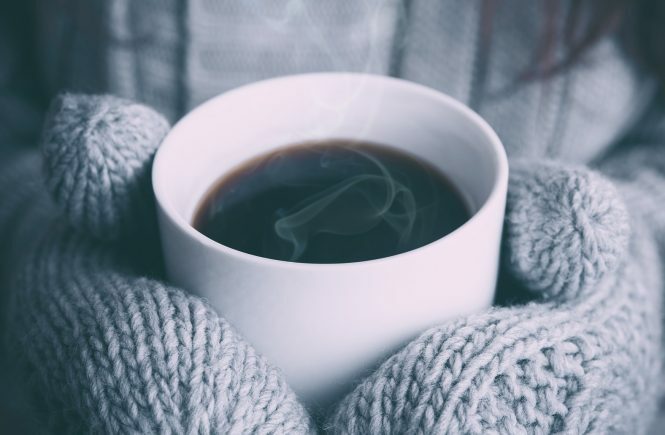 If you can’t take 2 days off (which might be the case if you have kids, weekend commitments or anything in that line), here are a few things you could try to add some self-care and self-love to your life! Go for a walk. Try this without your phone! If you can, immerse yourself in nature, whether that be the ocean or a forest! Take the time to really experience your surroundings and breathe in the fresh air. Read a book. When last have you read a book that was completely self-indulgent? Spend time with a loved one, particularly someone you’ve been meaning to catch up with! Try a new hobby! Buy that sketch pad and draw, join that dance class, start that blog! Whatever inspires you to explore your creative side, go and do it. Now, in my last post, I set some physical self-care goals that I wanted to report back on. Firstly, I’ve been doing a lot better with my sleeping times. Most nights I am in bed by 10 pm and lights out by 11 pm. Secondly, I have cut out most sugar from my diet, I had some over the past weekend but that’s about it. Thirdly, I went to that pound class I mentioned and nearly died! I’ve only managed 2 of 6 workouts over 2 weeks. I’ll be working to improve that this week! Remember, self-care is not optional, it’s essential! *If you’ve missed the introductory post to this series on self-care, click here. Now that we’ve established that we, in fact, need to look after ourselves first, to be able to look after others, let’s get down to business. I decided to touch on physical self-care first because it’s the easiest to write about. Funny enough, it’s one of the more difficult ones to put into practice. This is because physical self-care is not a once-off action like reading a book. It will only be effective if you are consistent and build a daily habit. Are you afraid of tackling physical self-care? Ok, maybe you’re not ready for what seems like a big commitment! Don’t stop reading yet. The benefits of looking after ourselves physically far outweigh the effort that we put in. Being physically healthy has a domino effect on all other areas of our lives. So before you knock it, I recommend trying one little thing to improve your physical health this week. So how does one practice physical self-care? Healthy Foods + Exercise + Quality Sleep So basic right? If you already have all of these waxed, well done and you are free to stop reading right about now. Personally, I find that when I feel like my life is out of balance, I’m tired all the time, I feel lethargic or I’m irritable, it can usually be attributed to one of the three puzzle pieces being out of sync. *If you have all of these sorted, well done! You are free to stop reading right about now! When you read these blog posts, I want you to know that I am preaching to myself as well. So here’s what’s happening in my world when it comes to physical self-care practice. I find that when my life feels out of balance and I am fatigued, lethargic or irritable, it can be attributed to one of the three puzzle pieces above being out of place. For the last year I ate a mostly low carb high fat diet, but since returning from my vacation in May, I haven’t managed to fully get back to that way of eating. Additionally, I haven’t exercised consistently for three months now. And, due to my increased online activity, I seem to be going to bed later and later these days. I believe in eating an elephant one bite at a time. Experience has taught me that when I try to set unrealistic goals like exercising seven times this week, I never achieve them. So while I would like to be one of those people who exercises every day, I know that when I start something new, it’s better for me to set small goals that I can achieve. And pat myself on the back when I do! While I could give you a list of 100 things that you could do this week to improve your physical self care, I thought I would challenge you to start with the basics. To get started, use the three puzzle pieces as a guideline for setting three realistic ways to begin or improve a physical self-care practice this week. Here’s an example if you are unclear. I’ve planned three workouts this week. When I exercise it has to be something that I enjoy doing like dancing or group classes so I’ve booked a class at the gym for Monday evening and set a calendar reminder for myself. Anyone keen for a pound class tonight? I’m going to try my darndest to cut out refined sugars this week. I feel like it is a huge contributor to my energy levels yo-yoing so I think it’s time to sever this relationship once and for all. I really need to get between 7-8 hours sleep a night to function as a civilized human being in the morning. This means in bed by 10:00 pm for me and lights out at 10:30 pm. I feel like I could write a whole post just on bedtime habits. Sigh! You don’t have to belong to a gym or eat any pricey, healthy foods to set your own goals for this week. A walk outside in the fresh air might be all the physical self-care you need! I’ve written this post to inspire you AND to keep myself accountable to you. Hopefully next week I will have some positive habitual behaviour to report! While I know setting some goals for yourself can be a personal thing but if you feel comfortable I would love it if you would share your three physical self-care goals in the comments below! With age, comes a deep understanding of what it truly means to look after yourself. Time will teach you that only taking care of your physical body, is a dangerous practice with minimal reward. 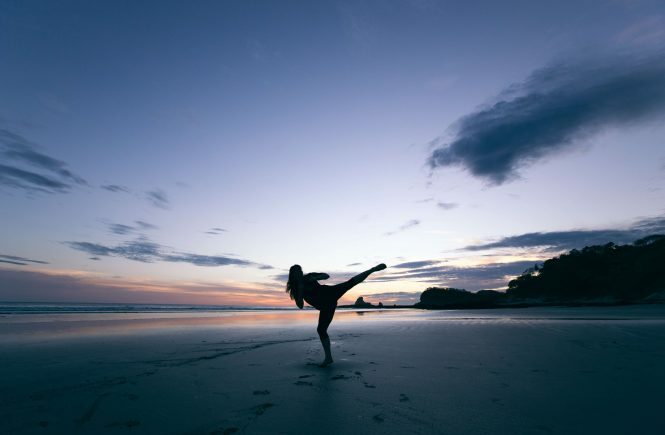 Sure, we must strive to be physically healthy, but it is equally important to cultivate wholeness in the areas of mental health, spiritual health and emotional health. Over the last few years, especially with my demanding job, I have seen the tangible and intangible benefits of taking a step back to practice self-care. And this my new friend, is what this series of posts is all about! The hard-worker and homemaker who is so busy advancing her career and taking care of her family that she forgets to take care of herself. The woman who believes that it’s almost selfish to look after herself, labelling it as vain, narcissistic and unnecessary. She’s always claiming that it’s something that she will attend to later, but never does. Which one are you? I happen to believe that taking care of yourself now will enable you to be your best self now and later in life. Improving your overall health enables you to love, perform and give at your best. So if you’re really an overachiever, this is your best recipe for success! You work hard and you deserve it! Though fulfilling, your various roles in your own life and the lives of others, can be very demanding and draining. Staying healthy, both inside and out, will cultivate joy and prevent burnout which happens to the best of us – even if we have great lives with wonderful people in it. You deserve to be happy and being healthy has great influence over your mood and attitude. Join me over the next few Mondays, beginning next week, as I delve into what self–care is, the different dimensions of self–care and how you can practice self–care in your life without breaking the bank. It’s really not about the money – even though the odd treatment is really nice. It’s about intentionally planning and doing things in your life that are just for you! Wouldn’t you like to live your life in a place of peace, joy and contentment? 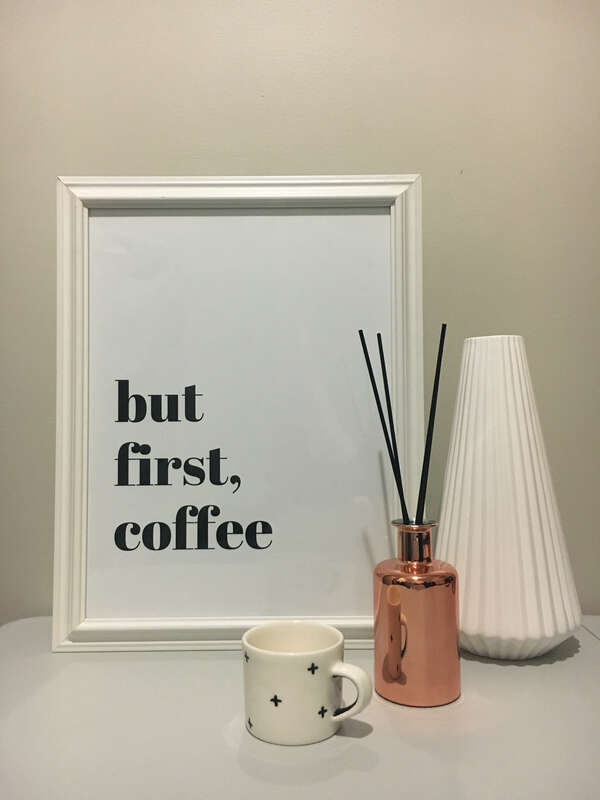 I will also share the little and big ways that I try to practice self–care in my life – besides drinking large amounts of coffee that is! Are you practising self-care? Let me know in the comments below. Velvet is back! I am not a girl who follows every new fashion trend. Being in my thirties, my style is quite developed and I am set in my ways! Still, I am a sucker for any old trends that come back into fashion, which I will credit to being a retro girl at heart. Cue my obsession with velvet. I absolutely love velvet. It is bigger, better and oh, so classy this time around! 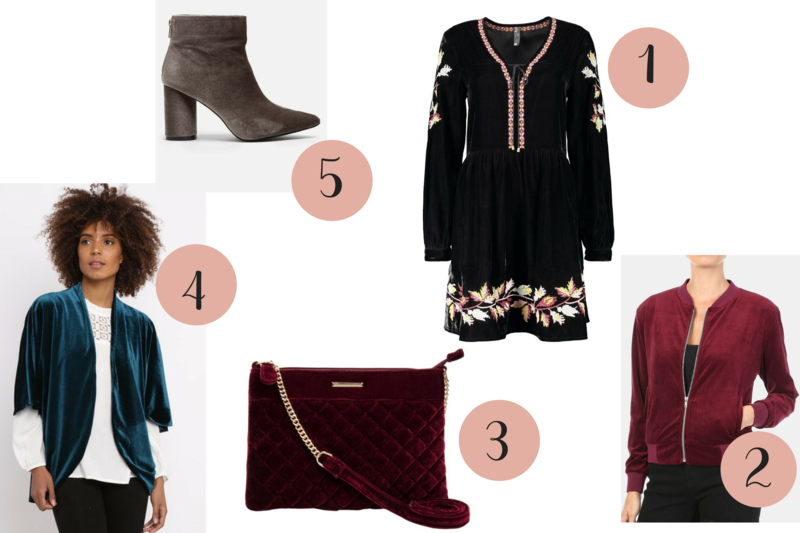 If you can pull off wearing velvet from head-to-toe, you totally should! If anyone argues, tell them Nadia sent you! But for those of us who want to incorporate this trend subtly, here’s my list of all the velvet a girl could dream of and ask for! This dress is perfect if you are eyeing some understated velvet charm! It’s subtle, chic and something different rolled into one! Way to jazz up a simple jeans and tee combo! I’m thinking all black? How’s about we throw in a peak cap for good measure? When in doubt, get in on the trend by using your accessories. The quilted fabric gives an elegant touch. I visualise this as a great transition piece from winter to spring. I’ve seen a few velvet boots in interesting colours and patterns, they are daring and bright enough to become the statement piece of every outfit, but I’ll give this one a pass. For me, shoes are an investment piece, so I opt for good quality and keep it neutral. If you want to be really fancy, you could even incorporate velvet into your home décor. This velvet chair at Mr P is to die for! There’s also this adorable pom-pom scatter cushion! 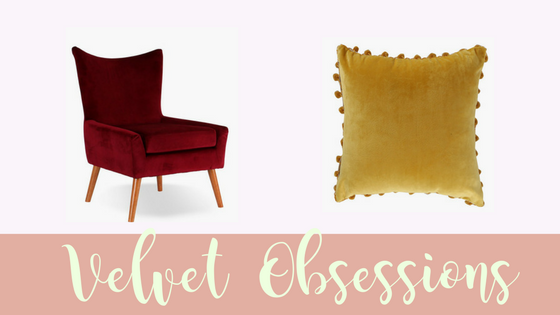 Have you incorporated velvet into your wardrobe and home as yet? Let me know, I’d love to hear more about it! When I returned to natural, I happened to be living abroad where products were easier to come by than they are in South Africa. For many of my curly-haired sisters, their journeys started in shopping aisles dedicated to the accomplishment of silky smooth, bone straight tresses. However, in what seems like a matter of months (a few years for the most), we (South Africa) have gone from no options at all, to a plethora of product for our kinks and curls, some even produced right here at home. To be honest, this doesn’t solve my curly girl problems completely but knowing that I can pick up a phone or walk into a mall and get something I need without compromising on quality, is surely a step in the right direction. I still have the task of sifting through local and international brands to find the perfect fit for my fine hair and relatively loose curl. Cape Town based and Zambia-inspired Buuya fills me with hope. 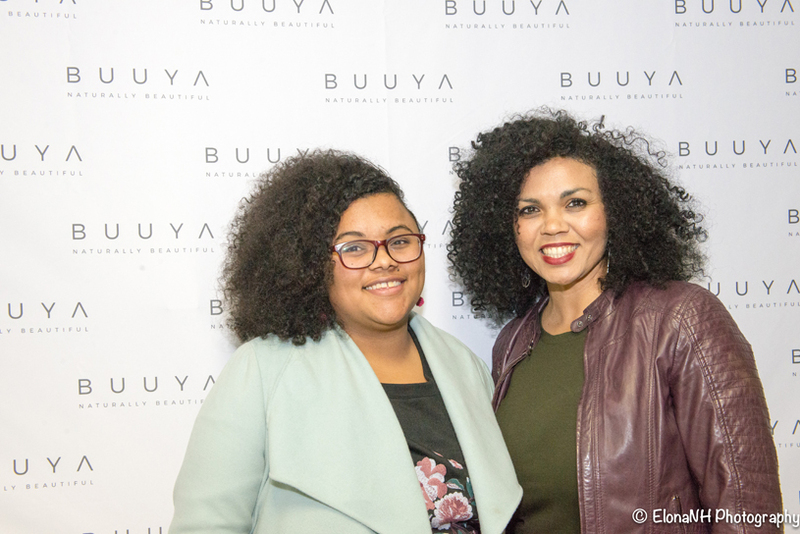 On Tuesday, 20th June 2017, accompanied by my friend Ashleigh, I attended a very exclusive product launch for Buuya, a natural hair product range developed by Kasuba Stuurman. Buuya is situated in Paarden Eiland, and it was refreshing to meet at their offices, sans frills and fireworks, to celebrate Kasuba’s new venture, and her birthday! For those of you who might wonder what happens at these kinds of events, I will tell you that Buuya’s do was tasteful, simple and to the point. Upon arrival, we chatted and received our choice in mocktail. Of course, dozens of selfies were had before we were ushered to our seats in their main venue. Kasuba said a few words, elaborating shortly on her entrepreneurial journey and hair story. Only having recently met her, it was a pleasant introduction to the face and hands behind Buuya, which quite fittingly, means beauty. Previous experience in starting a business, taught me the hard work of starting out on your own and being 100% responsible for your own wellbeing and the wellbeing of your clientele. The beads of sweat still threaten to erupt on my forehead! I think few people realise the great stress on the back of our locals doing it for themselves, the constant hustle and uncertainty. Formerly known as “Rockin Naturals”, Kasuba’s “Buuya” emerges as the refined, well-oiled sister of her former self. She is strong and confident in herself. She arrives on the scene with something unique to offer. Turning the spotlight back to my fine hair for a moment, I must harp on about how tricky it is to find suitable products for my hair type. Too much of anything results in crispy, limp curls. Shea butter? I cannot. And so I love that Buuya’s natural hair product range introduces us to plant based extracts such as, Mongongo Oil, Mafura Butter, Cape Coastal Honeybush, and Kigelia Africana -celebrating the Southern Africa. 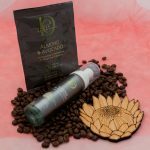 These active ingredients embed themselves in my memory and stand out as one of the Buuya beauty secrets I won’t easily forget. Anyone can whip up a batch of Aleo very gel in the kitchen these days, so new innovations excite me very much! I’m also quite chuffed that Kasuba aims to educate people on the dangers of EXTREME hair and beauty practices. For me, this type of commitment extends outside of and within the natural hair community, which is great! You see, often times, we think because we aren’t taking a flat iron to our hair, we are okay, and that if someone wears a weave or prefers a blowout, they are not. 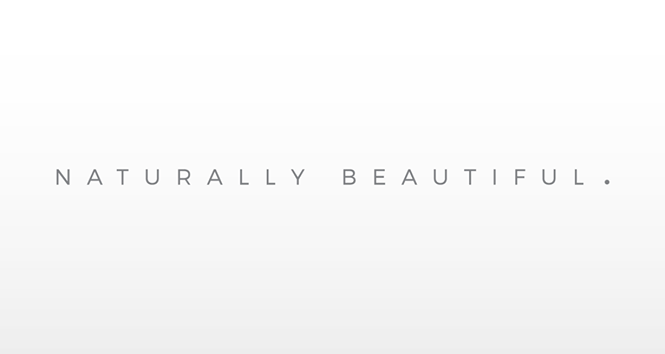 From what I am hearing, Buuya represents a very honest and simple approach to their target market: let’s all promote healthy hair and know that we are naturally beautiful. If you are keen on healthy hair growth, length retention, moisture retention, and hair definition — Buuya may have something for you! Now that I am in my thirties, I am a very selective consumer! A lady’s gotta choose! And I will always choose, advocate for, and support, local makers. Whether you’re attracted by the modern packaging, the travel size items, the sweet but natural Apricot scent, or her founder’s rise to entrepreneurial success, try Buuya for as a little as R100 today. 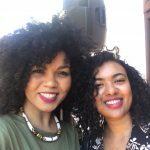 Natural hair rocks and what’s even even more inspiring is that naturalistas are doing it for themselves! 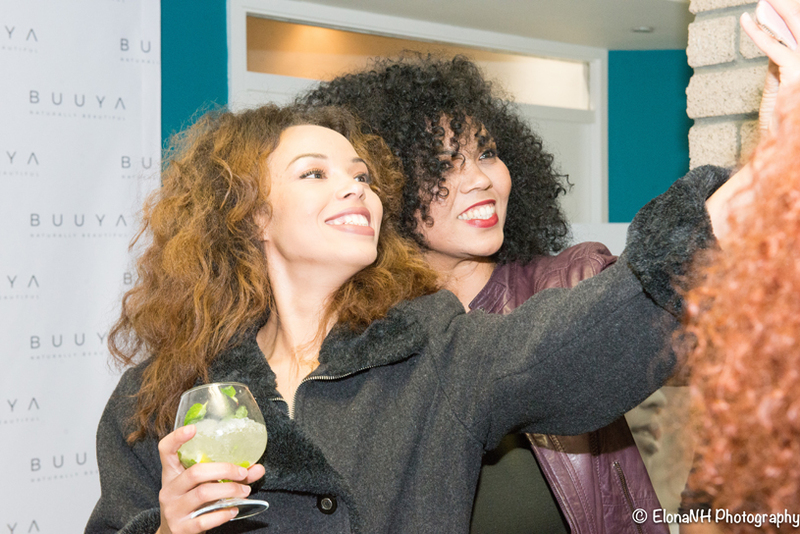 Here are a few more pics from the launch, supplied by Buuya and taken by the lovely Elona NH Photography. Surprise! We’re having a coffee soiree! 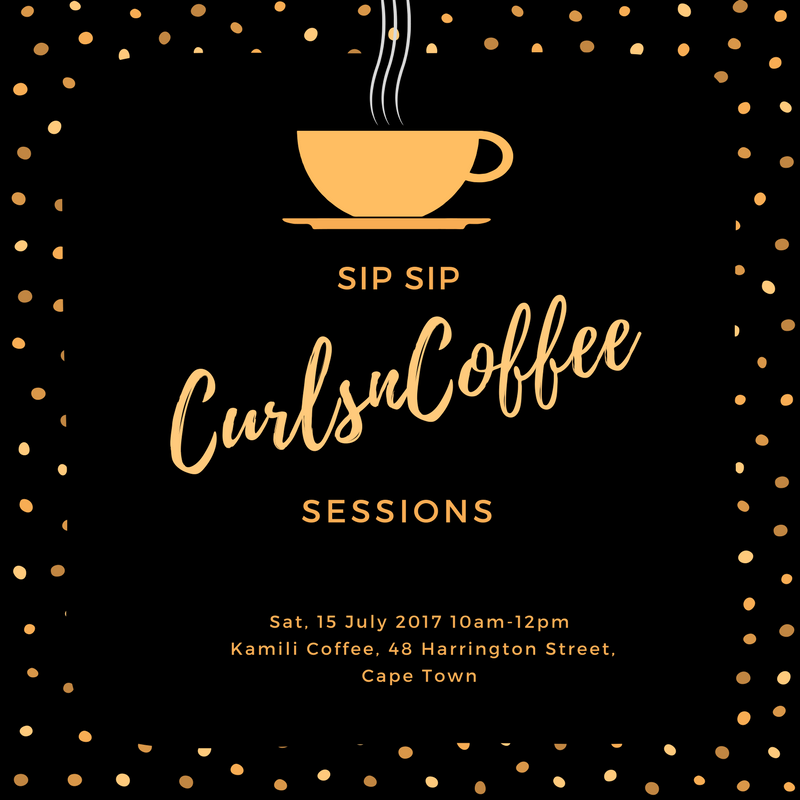 The first of many CurlsnCoffee Sessions start on Saturday, 15 July 2017! This inaugural event is in collaboration with Kamili Coffee and My Natural Hair, two brands I love and feel so honoured to partner with. Thanks to their generosity and some careful planning on my side, CurlsnCoffee is able to invite four members of the CurlsnCoffee clan, along with one of their friends, to join us on this auspicious occasion. 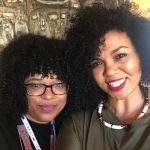 To connect in person with our IG community, celebrate the blog and inhale all the coffee, the day will include a complimentary brunch, a coffee cupping session and a hair curlversation! You will have the opportunity to enter at the end of this post, we would love to meet you! Cape Town is filled with busy, brewing coffee shops, I should know, I do call myself CurlsnCoffee after all! So what makes Kamili different and why have I chosen this Harrington street charmer to host our first event? Could it be the relaxed music that adds to their flavourful blends? Is it the quick escape from city life without going too far, that holds my attention? Or am I attracted by the warm interiors which help me battle it out against the cold mornings and grey afternoons in corporate Cape Town? Well, all of this is great, and so is their poached eggs and bacon stack, but to Kamili, there’s a surprise element that gets me every time! There is something to be said about a place where people remember your name, perfect your order, and serve you with a smile. 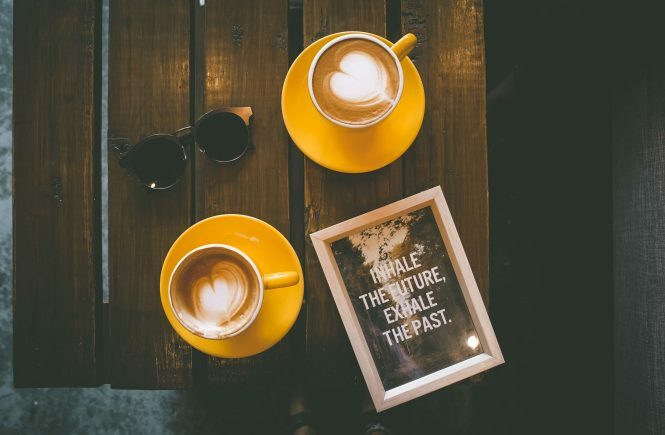 These are old traits forgotten in a modern world where we all rush and swoosh to the next thing, the next cup, the next exchange of notes and coins. Owner, Theo Snyckers has done a great job with his team of staff, and superior coffee! The CurlsnCoffee session will be filled with their bean talk and wisdom, so I won’t go too far, but I will say, that if you really want to make sense of all the coffee speak in our cosmopolitan city, Kamili’s is the place for you, come taste and see! 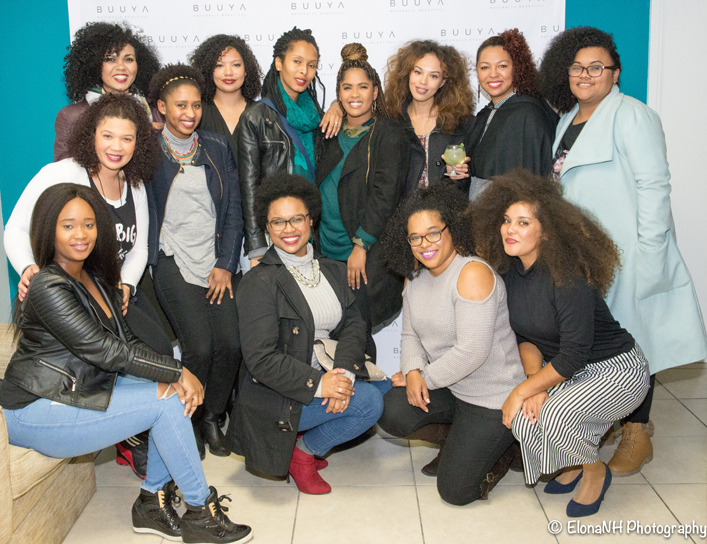 The landscape for natural hair products in South Africa is growing! Local makers are giving international counterparts a run for their money, I mean, who better to introduce products to the market than those of us who have been born and raised in the climate and conditions of urban and rural South Africa? One such brand is My Natural Hair! 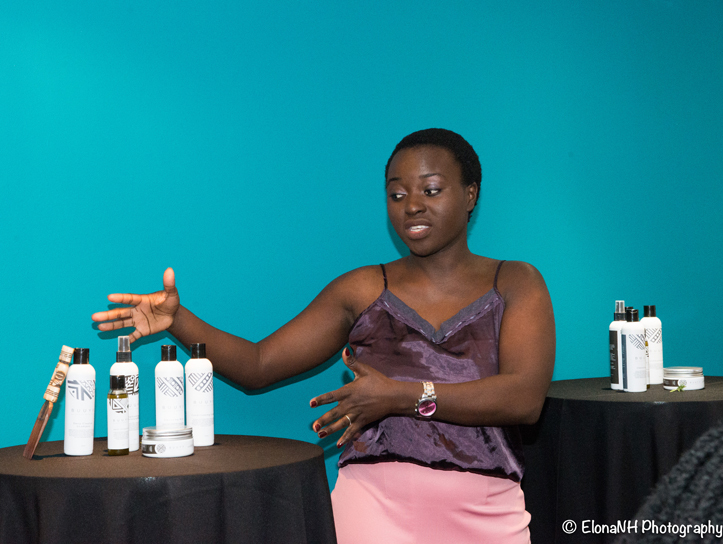 These days, I meet new people and brands at every corner, but what truly stands out for me about My Natural Hair in particular, is founder Catherine’s pride in what she creates for this homegrown line of healthy hair care options. 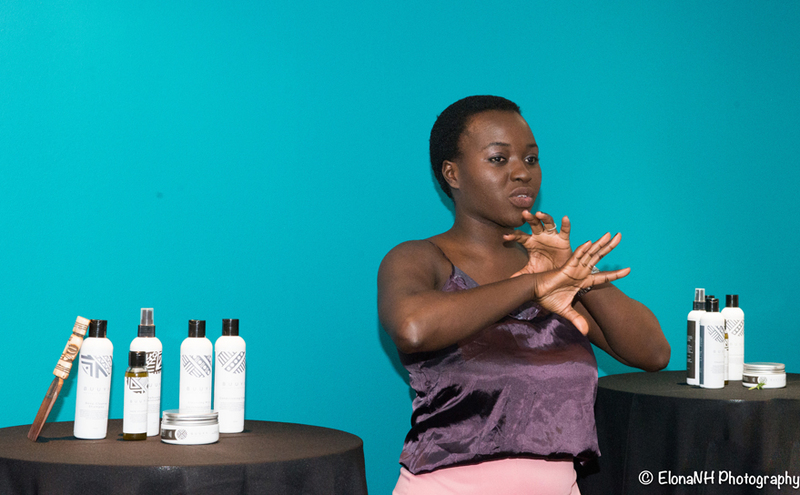 From polished events, affordable pricing, and complete transparency around the ingredients used in each bottle of magic, it is apparent that Catherine hopes My Natural Hair will grow with its audience and their hair. Catherine holds a degree in marketing and has travelled the world as an air hostess. 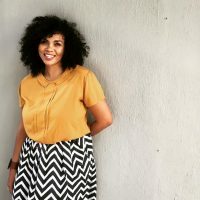 It is during her travels to New York that she first discovered natural hair products, and with much enthusiasm, she has been able to create a uniquely South African alternative for natural and relaxed hair! You can read more about her story here. Share the name (their IG handle please) of the friend you will be taking in the comments below. Disclaimer: Competition only open to Cape Town residents and does not include transport. Winners must be available on Saturday, 15 July 2017 from 10h00 to 12h00 to attend the event. Competition closes at 12h00 on Tuesday, 4 July 2017 and winners will be announced on Wednesday, 5 July 2017. Tip: Know who you will be taking with you if you win? Ask your friend to enter as well to increase your chances of winning! Good luck! 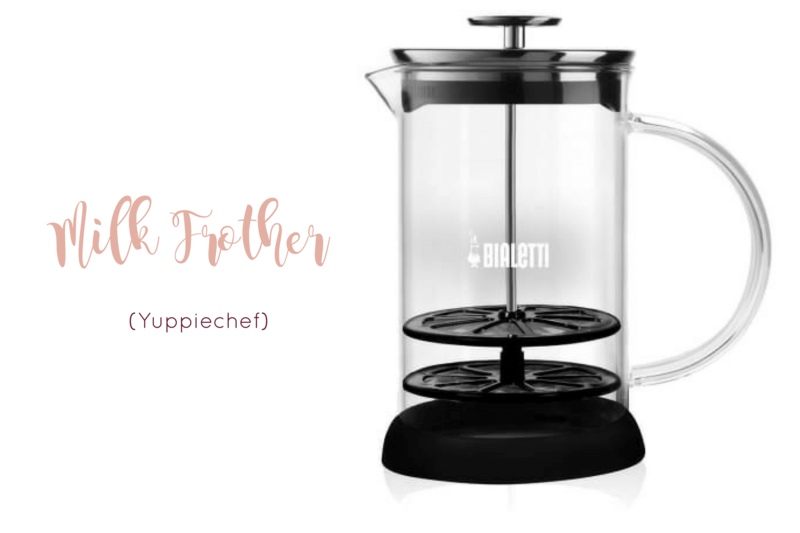 Want to improve your coffee making skills or just curious about how I take my coffee? READ ON. I like coffee. A lot. And I think that you should like it too! I am on the receiving end of many questions about how much coffee I drink and how I drink my coffee. While I do enjoy my cup of java from local coffee shops, that can get a little heavy on a girl’s budget considering my daily coffee intake! 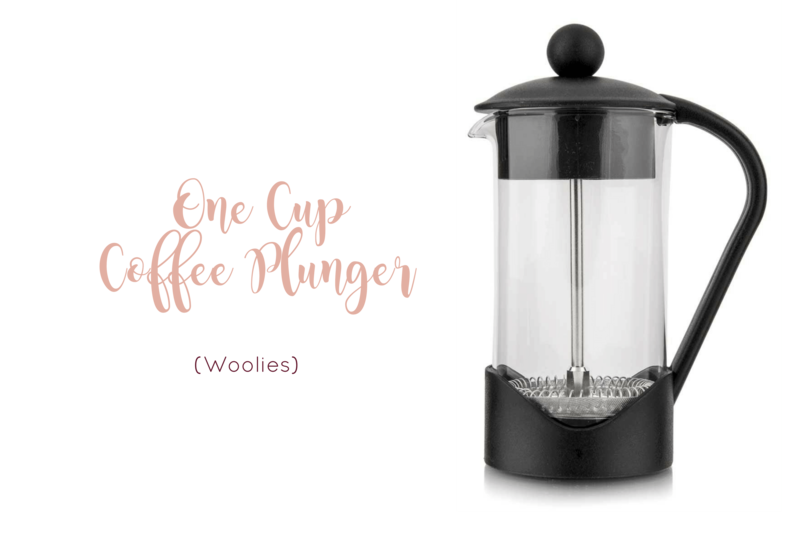 Most of the time, I make my own coffee and if you are keen on making yours too, here’s what you need to get brewing! First, you will need a little one cup plunger. I use the one from Woolworths (R199) but I’ve also seen some cute ones on Yuppiechef and Takelot. The Woolies one does the job for me. Invest in good coffee beans, ground specifically for a plunger. This is very important because the consistency of the grind has a huge effect on the strength and taste of your coffee. 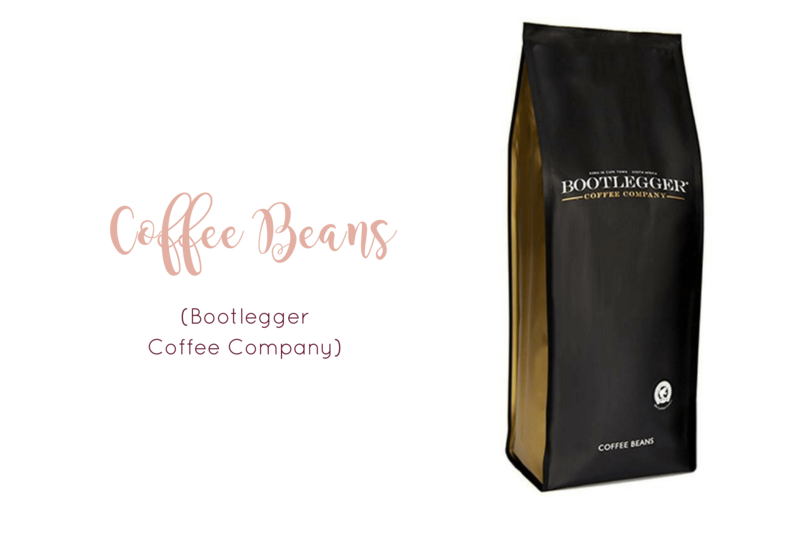 I love my beans from Bootlegger coffee company but I also use the Mocha Java variety from Woolworths and it’s really good. Be sure to buy your ground coffee specific to your taste, some roasts are milder or stronger than others. If you want to get fancy, you can get yourself a little milk frother. Especially of you enjoy cappuccinos or lattes. Personally, I drink a lot of my coffee black, and when I do add milk, I just heat some in the microwave. 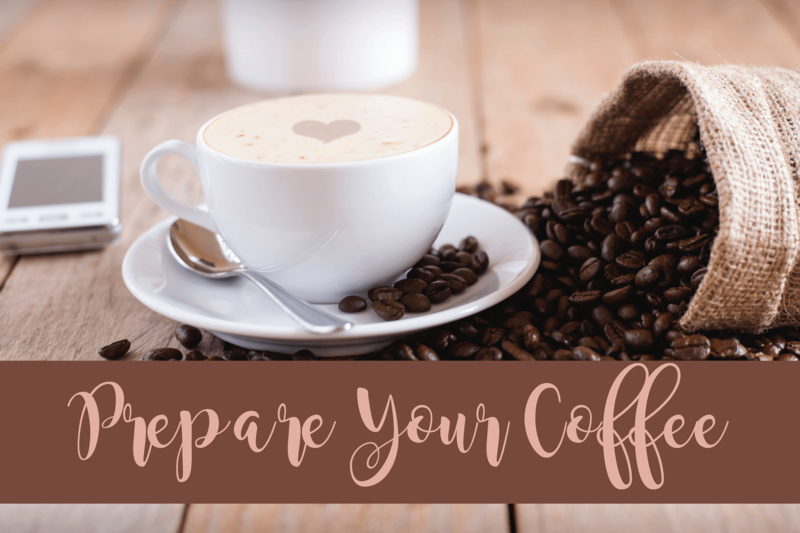 Now that you have your basics, you are ready to prepare your coffee, and if you want, you can follow my method below. Note: I usually add 4 teaspoons but I think you should work up to this intensity! Let your coffee brew for about 3-4 minutes before pushing the plunger down. Pushing down the plunger will separate your coffee grounds from your coffee. You don’t want any of the coffee grounds in your cup! STEP THREE: Heat some milk in the microwave or froth in your milk frother by pumping it for one minute. STEP FOUR: Add your coffee to your mug, add your milk, add sugar (or not). STEP FIVE: Stir, sit back and enjoy! 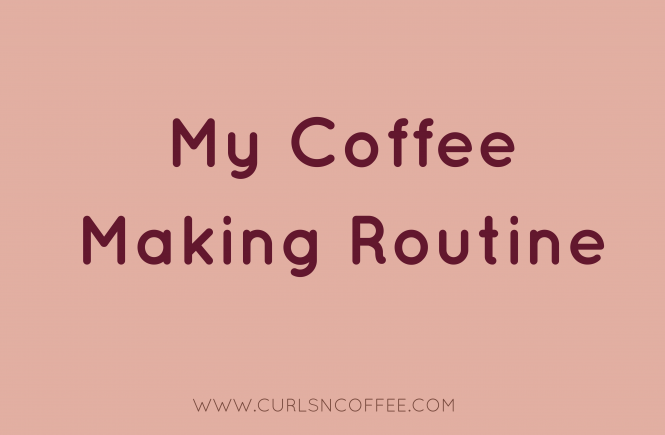 Tried my coffee making routine? Snap a pic, post to Instagram and tag me for an opportunity to be featured! More importantly, let me know how it goes in the comments below! This giveaway is closed. The winner is Roxzanne Klassen, also, @roxyk_ on Instagram. 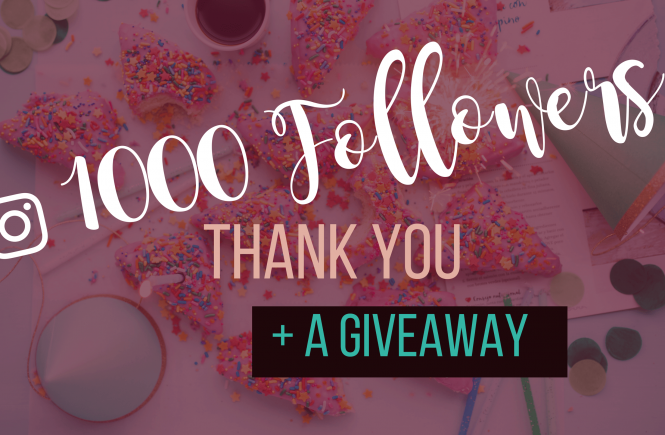 Oh my gosh, is it really time for my first giveaway? As you might know by now I have few loves in this world, coffee being close to the top of the list! 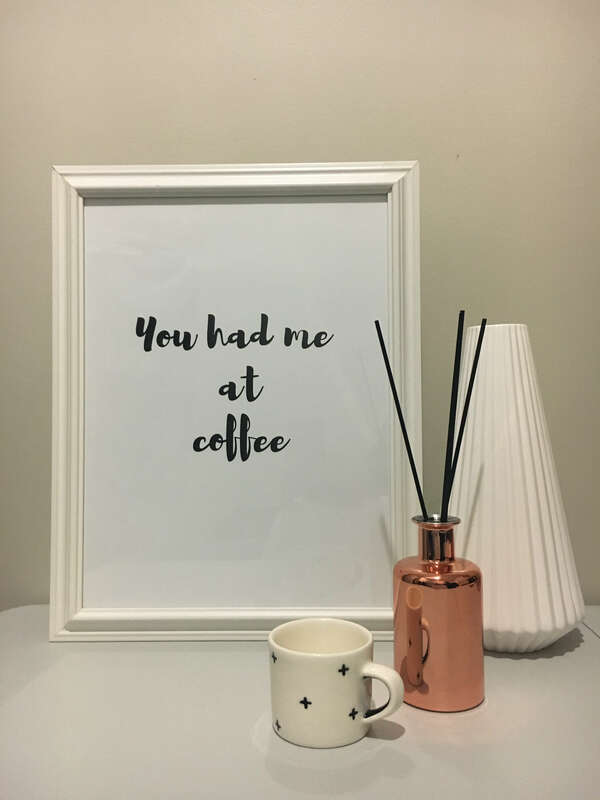 As a thank you for encouraging me, following me on this journey and helping me reach 1000 followers on Instagram, where it all started, I’ve designed and printed some of my favourite coffee quotes. If you would like to win a framed print, please head over to my Instagram profile, @curlsncoffeeza and leave a comment as to which of the three designs is your favourite! Our giveaway winner must commit to taking a picture with their prize and their signature cup of coffee! For the ‘gram, of course. Now, take a look at the printables you could win…Not too shabby, huh? PS. Can you spot my rose gold obsession coming through? Read more about it here. 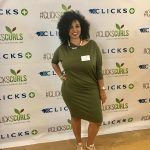 I am Nadia, the coffee addict and curly girl behind CurlsnCoffee! Cape Town is my home and the world is my oyster. 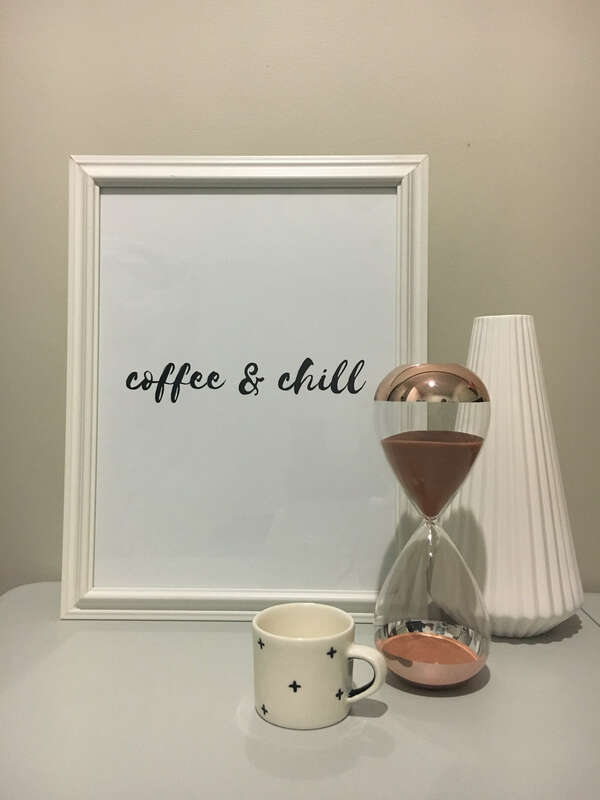 Stick around for fashion, natural hair care and the perfect cuppa jo!